Solid, hardwood cabinets feature solid oak and oak veneers with a chemical resistant, earth-friendly UV finish. 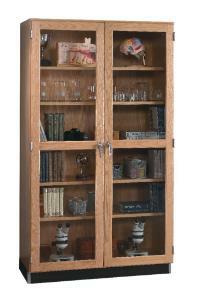 All shelves are designed to hold a weight capacity of 40 lb. per square foot. 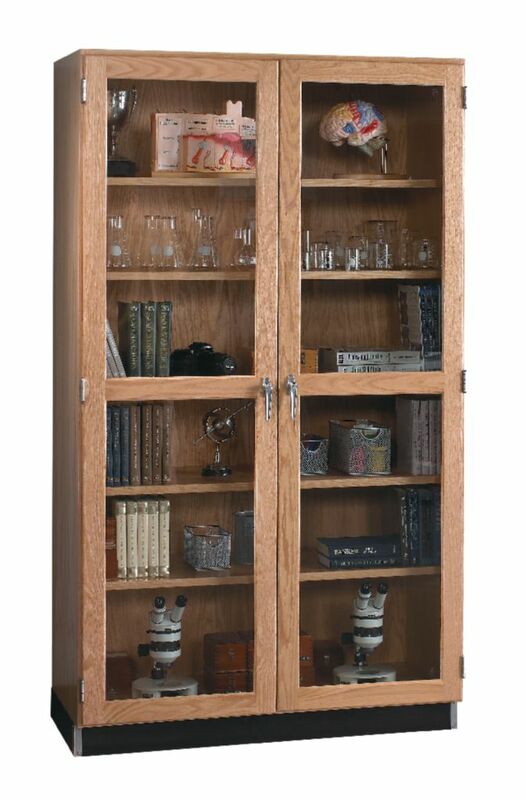 The oak-framed, 3/16", tempered-glass doors are designed to crumble when broken to prevent large, dangerous shards. 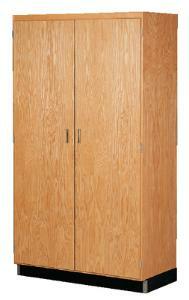 The 24-inch-wide cabinet comes with one door, hinged on the right, while wider cabinets have two doors. 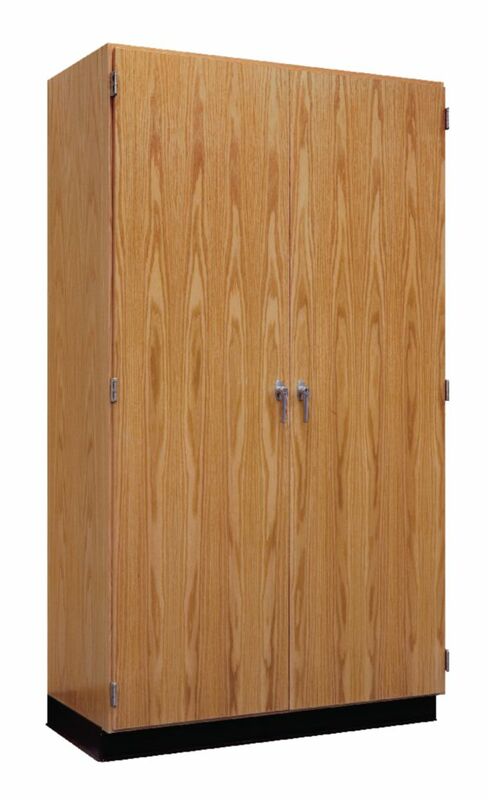 Ordering information: These cabinets have a three-point locking system with two fixed and four adjustable one-inch-thick shelves (3/4"-thick on 24-inch-wide cabinets).